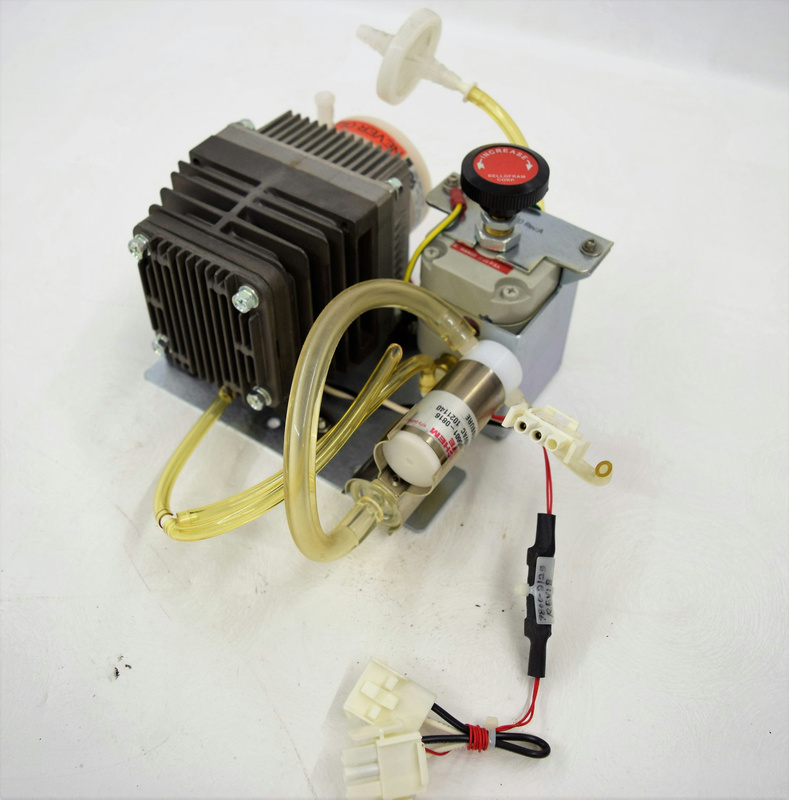 Vacuum Pump Part Number 9800-2774 - for Siemens WalkAway 96 Plus . New Life Scientific, Inc.
Minor cosmetic wear and age, but in good condition. You will receive what is shown in the picture. Our products have likely been decommissioned and decontaminated by the original owner. However, in order to maintain a high standard of safety, all of our products are professionally decontaminated with a water/bleach mixture, as well as other cleaning agents. While New Life Scientific takes many steps to ensure that our instruments are in perfect working order we cannot ensure that all products are up to manufacturer specifications. We recommend every product undergo professional installation and calibration before use in research, production, and clinical applications. For this reason, we offer a 90-day warranty on all of our working products in the interest of maximum customer satisfaction.